My new favorite thing is customization. It's something that's common for things like food and drink but now the beauty industry has been picking up on it more and more. But let's take a moment to talk hair. No two people have the same exact hair type, which is why customized products are the way to go. 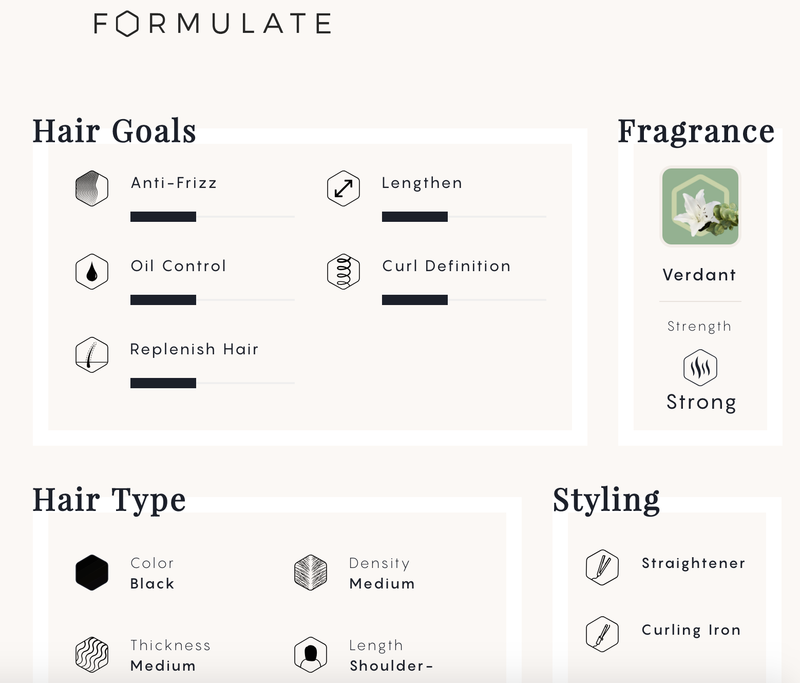 I recently learned about Formulate, a new service that engineers the perfect haircare duo based on your hair type, location and lifestyle! Keep scrolling to enter a giveaway to be the first to try Formulate! 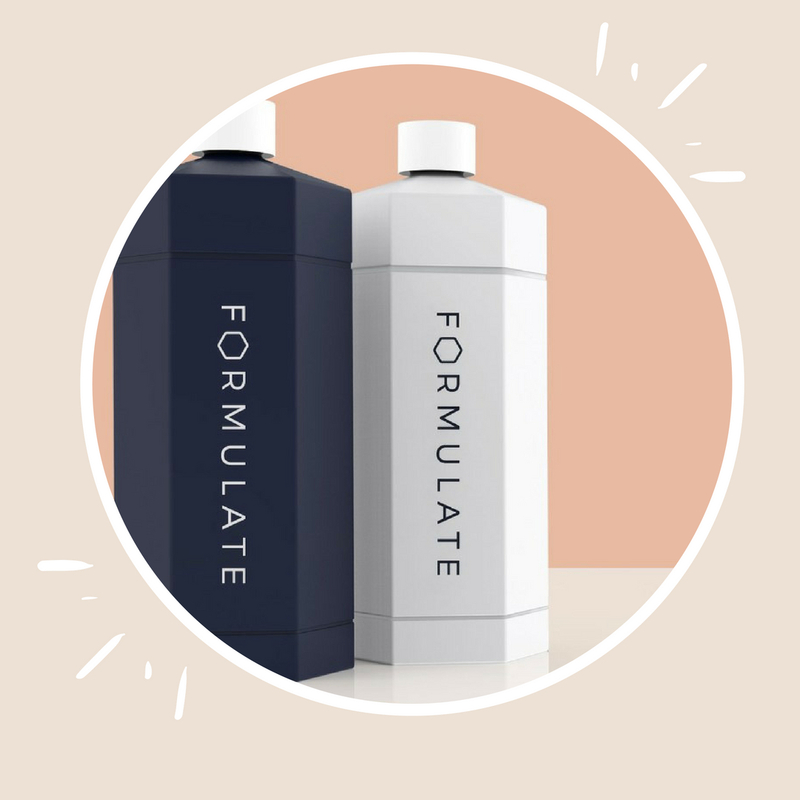 This brief video gives an overview of how Formulate works! To create your formulas, you take an extensive quiz which questions you on everything from hair color and type, scalp, current haircare routine, and what you're looking for with your hair products. The quiz was definitely eye opening. I didn't realize so many factors can affect your beauty routine. I even got a snapshot of my hometown and how that affects my hair. This is a snapshot of some of my hair concerns and the scent that I chose for my formulas. Hopefully you're just as excited as I am about Formulate. Now I'm excited to share TWO offers with you. The first is a giveaway to be the first to try Formulate and receive your own customized shampoo and conditioner duo! The next is a unique code that gives you access to purchase your own formulations right now. Since this service is new, it is not open to the public quite yet. This code also includes inclusion into the Founding Customers group where you receive future discounts, first trials and co-creation opportunities (like helping pick out new scents!) 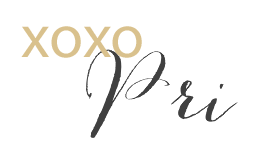 Send me an email at paintthetownchic @ gmail.com or DM me on Insta for a code, first come first served! I cannot wait to receive and try my customized shampoo and conditioner. I'll be sharing more once I get it. I have collaborated with Formulate to bring this review and giveaway to you. All opinions shared above are my own.